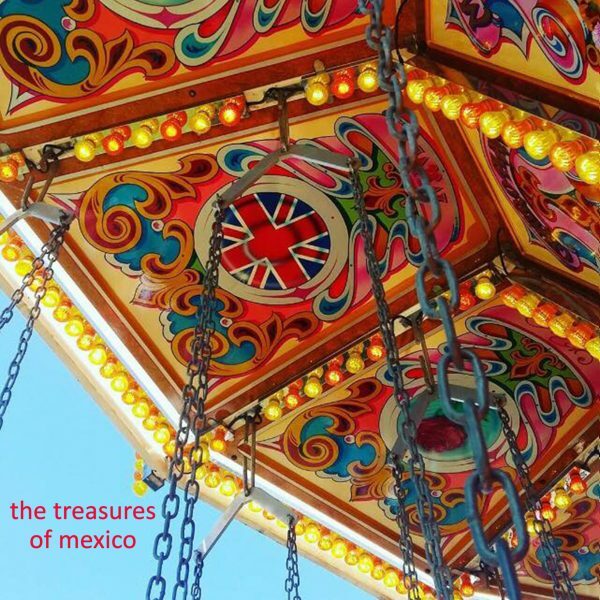 The Treasures of Mexico is a music project from Mark Matthews and Bob Collins, both ex-members of UK indie legends The Dentists, with Russ Baxter on drum duty (also currently the same for Secret Affair). 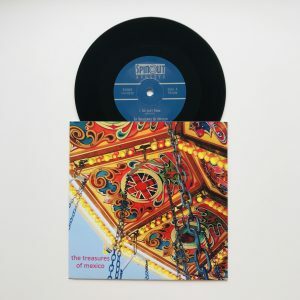 Following the untimely demise of The Dentists in the late 90’s, Mark Matthews and Bob Collins, key contributors and founder members, have been busy through a variety of side projects and contributions to worthy musical causes. 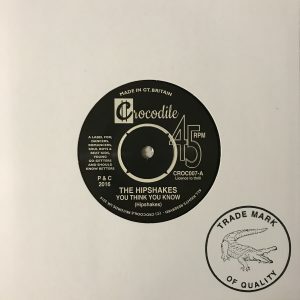 We don’t have time to name them all here, but do check them out! In to their second album, it seems The Treasures Of Mexico has been the light at the end of the tunnel, but it’s not stopping there. 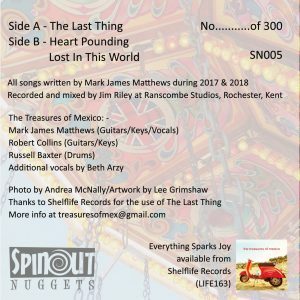 With Mark on song-writing duties, having released their debut album in 2015, The Treasures Of Mexico released their second album, ‘Everything Sparks Joy’, in October 2018 on Shelflife Records, on CD and digital, to much acclaim, hitting many Best Album Charts at the end of the year. 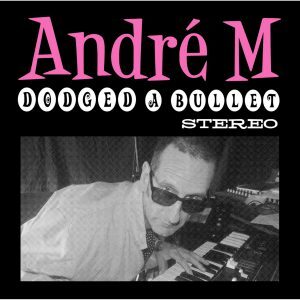 Containing twelve master-pieces, at least one needed to be transformed to vinyl media, to complement record collections worldwide. 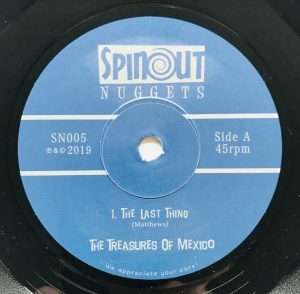 On this limited hand numbered 7” vinyl release of 300, Side A’s ‘The Last Thing’ is the album track, with Side B hosting previously unreleased tracks ‘Heart Pounding’ and ‘Lost In This World’. 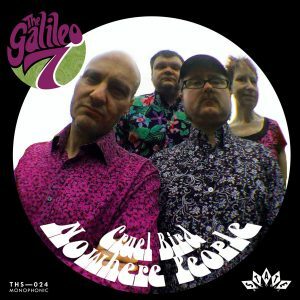 All songs were recorded during 2017 and 2018 at Ranscombe Studios, Rochester, Kent, with Jim Riley at the controls. 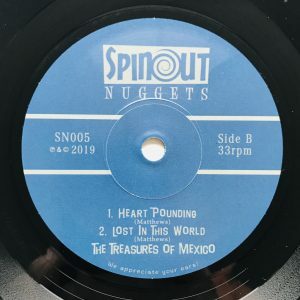 The fifth release on the Spinout Nuggets label, with photo credit to Andrea McNally, and artwork by Lee Grimshaw, this release steps in to the exciting jangly-indie-power-pop world! Keep a look out for The Treasures Of Mexico at a venue near you very soon! 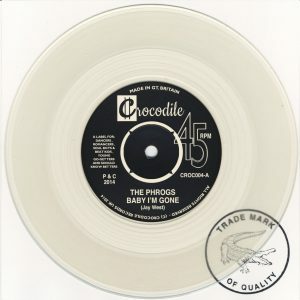 This release will be available via www.spinoutproductions.com, and all good record outlets.